On Aug. 4, freshman Kim Lam was worrying about what decor to buy for her dorm at Tulane. A week later, her concerns were replaced with dread as she watched flood water engulf her childhood home. For many Tulane students who call southern Louisiana home, the month of August was spent not only packing for college, but storing things away from the rising waters that rapidly affected several parishes across the state and 70,000 citizens. The severity of the threat to members of the Tulane community motivated President Michael Fitts to release a statement regarding the disaster, followed by a call to donate or volunteer. 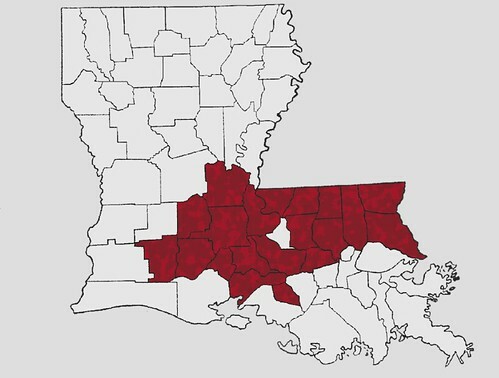 Beginning on Aug. 8, southern Louisiana endured catastrophic rainfall which lasted for seven days, which caused mass flooding in 20 of 64 parishes officially declared disaster areas by the Federal Emergency Management Agency. 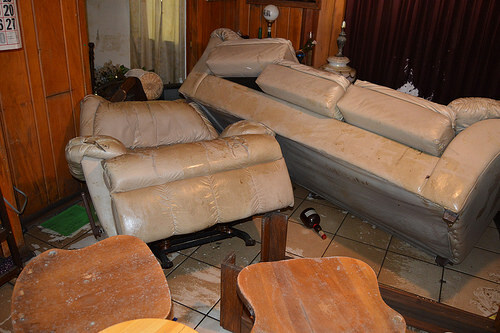 According to the Red Cross, the floods affecting southern Louisiana are the worst natural disaster to hit the United States since Hurricane Sandy. In a statement released by the Baton Rouge Area Chamber of Commerce, 110,000 homes in the Baton Rouge Area alone were damaged by the floods. Some students like Lam found their houses overtaken by the monsoon in a matter of hours. Lam said she felt shocked seeing the murky water flood her house as her and her family attempted to gather their belongings to evacuate. Others, like freshman Griffin Smith, found themselves trapped on their streets by the rising waters, unable to drive to safety. Tulane students living in the surrounding areas of Baton Rouge headed to the flooding zones to help in any way they could. Many donated their time or possessions, by gutting houses, volunteering at shelters and aiding in collecting hygiene items. While volunteering at local shelters freshman Reagan George, with her friends and family, noticed a shortage of certain goods sorting through the piles of donated items at local shelters. The Tulane administration has taken action to aid in the flood relief by offering emergency scholarships through Newcomb-Tulane college, emotional support through Counseling and Psychological Services and direct volunteer opportunities through multiple on-campus organizations. The Center for Public Service in particular has been working to organize assistance for the relief efforts by providing students access to community partners such as Youth Rebuilding New Orleans and Alternative Breaks. Dr. Agnieszka Nance, the executive director of CPS, said she believes that the Tulane community’s response following the flood is indicative of the service oriented values the university strives to instill. Aside from the administration, student groups are also mobilizing to help. Although immediate assistance, such as gutting houses, is being offered, Assistant Director of CPS, Katie Houck, says she believes long term solutions and looking to the future are crucial the recovery process. “For every house that is gutted, there is a house that needs to be rebuilt,” Houck said. Incoming freshman and resident of Baton Rouge, Evan Doomes, echoes Houck’s sentiment, and says that Tulane students should not only volunteer, but try to become an integral part of both the Tulane family and Louisiana’s community. “I think a lot of the effects [of the flooding] are long term so I think just being involved in Louisiana and viewing time at Tulane not as a vacation…but something to be involved in and just making New Orleans and South Louisiana your home instead of a place for you to just serve,” Doomes said. CPS is working conjunction with Second Harvest Food Bank to bring food and supplies to flood victims in Tangipahoa Parish, Lafayette, and Baton Rouge. For volunteer information, visit New Wave and the CPS Facebook page. Aug. 25 to Sept. 2, CPS will also be partnering with the Community Action Council of Tulane Community Students to collect school supplies for students affected by the flood. Donation drop off locations are the Tulane Bookstore and the Center for Public Service in Alcee Fortier Hall.